You are here: Home 2014 October How to Buy/Choose a Wireless Router for Your Home or Small-business Network? It’s a common thing to a wireless router or wireless AP for your home or small-business network. But choosing the right wireless router can go a long way towards having a frustration-free experience on all your connected devices. Of course, you want good performance and adequate wireless coverage. You may be also puzzled about a lot of numbers and specs: the 802.11 a/b/g/n/ac, 802.11N, AC1750, A, B, G, N or AC, N900, 900 Wi-Fi 802.11n router/ 1200 Wi-Fi 802.11ac router, and single-band or dual-band, etc. What does it all mean? So in this article we will talk about the main factors we need to consider while buying a wireless router. Firstly, ask yourself how high-end you want to go with a router. If you need nothing more than to create a wireless network, you can get away with a fairly cheap router—spending less than $100 should do. If you want extras such as security, parental controls, and the ability to connect USB printers and external storage drives for sharing data, you’ll want to look at higher-priced premium routers. Many people turn to user reviews on retail sites before buying a router, but those reviews aren’t necessarily going to give you pertinent information. While you can get a general feel for other customers’ experiences with a particular router, Wi-Fi is so fickle and performance can vary dramatically from one home to another. Just because someone had a terrific (or miserable) experience with a particular router does not mean you’ll have the same experience. How to select your perfect wireless router? There are some tips and information provided to help you setting up a better network. Need A Wi-Fi Router or Not? 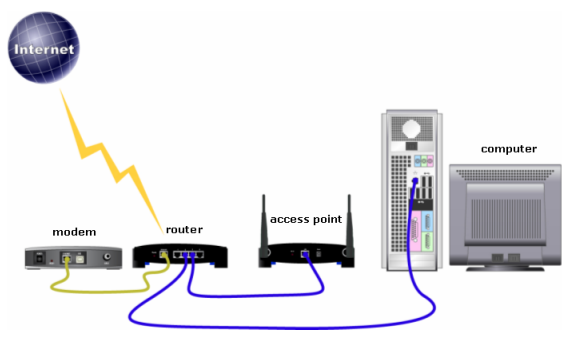 A wireless router allows wireless devices (and wired devices) to connect to the Internet and communicate with other devices on your home network. Some people only work from one laptop or PC that may be directly connected to a cable or DSL modem. They may not have other users or devices in their home or office that need wireless connectivity. If this applies to you and you have no need to deviate from a fixed location from which you do your Internet surfing or computing, then you can don’t need a wireless router. However, most people these days want and can to benefit from a wireless router. With a Wi-Fi router, browsing the Internet from an upstairs bedroom or sharing pictures and streaming music and video to all the devices in a home or office are all possible. If you want the capability to do these tasks, then yes, you need a router. You will inevitably stumble across the term “bands” when you research routers. The 2.4 and 5 GHz bands are the frequencies in which wireless communications operate. 802.11 B and G devices use the 2.4 GHz band, while 802.11N can use either the 2.4 GHz or 5 GHz band. 802.11ac only uses 5 GHz. A single-band, 2.4-GHz router—is geared toward simple wireless networks. On the other hand, a dual-band router operates on both the 2.4 and 5 GHz frequencies. The 5 GHz band is less crowded than the 2.4 GHz band; less equipment runs on 5 GHz. That’s why it’s better equipped for throughput-intensive work within your home network such as gaming and file-streaming. You will also get better internal network performance. The one downside of 5 GHz is that it does not sustain signal at greater distances as well as the 2.4 GHz band. So, if you are looking for a dual-band router to take advantage of the 5 GHz bandwidth, you’ll want to factor in distance when placing the router in your home or office. One other thing to consider when it comes to Wi-Fi bands: Some of your devices may only work with a given band. When purchasing router, you’ll notice a three-digit number emblazoned on most routers’ packaging, indicating the router’s maximum speed. A few years ago, 300Mbps was the standard speed of most Wi-Fi routers. That meant testing under the best circumstances, which means in what we call a “clean room” with no interference, the router can achieve up to 300Mbps speeds. Routers have since beefed up to maximum speeds of 1750Mbps and 1900Mbps. It’s highly unlikely you’ll ever see those actual speeds, though. Issues such as channel overlap and interference means a router in a typical home or office will never reach these theoretical speeds touted by vendors. Of course, fast router speeds don’t have anything to do with how fast your Internet connection is. A 300Mbps router won’t make your Internet connection any faster than a 1900Mbps router. That speed is set by your ISP. What a faster speed router helps with is the performance of your internal network: streaming music and video, sharing files, and so on. Do I Need 802.11n? And what is 802.11ac? 802.11n is becoming the standard in wireless networking. If you’re purchasing a new router, be it single or dual band, go with an 802.11n router. And not “802.11n draft,” which is an older standard. 802.11n routers can run in “mixed mode” so that non-802.11n wireless devices can connect as well. 802.11ac is the latest 802.11x wireless networking standard. There are a host of new routers on the market that are being advertised as 802.11ac routers. 11ac can provide up to almost 1Gbps throughput under ideal conditions in supported dual-band routers, or up to 500Mbps on a single-band, increasing the limitation of up to 450Mbps on a single-band of 802.11n. Furthermore, 11ac is designed to provide better range than 802.11n currently does on the 5 GHz band. The tricky part of 11ac is that the standard is still in development. The Wi-Fi Alliance is an organization that tests to make sure that networking products sold to customers do what manufacturers say they are supposed to do. Once tested, the Wi-Fi Alliance allows vendors to sell products as Wi-Fi Alliance certified. Since 802.11ac is yet to be finalized (also called ratified or drafted) there are no products on the market that are certified. That isn’t stopping vendors from releasing pre-draft 802.11ac routers. You may remember years ago, seeing 11n pre-draft routers on the market before 802.11 became standardized. The pre-draft 11n routers were far below performance levels of later 802.11n routers that came out once the standard was ratified. Most of the newer routers support the highest level of security, WPA2. If in the market for a new router, make sure it supports WPA2. If you have children, consider a router with parental controls such as the Nighthawk. Some routers also offer extras such as SD card slots, and USB ports for printer sharing and external drive sharing, including routers from Cisco, Belkin and Western Digital. If those are features you want in your network, look for routers that support those features. After reading the main tips and information about wireless routers, you will be more confident and clearer while selecting a right router for your home, SOHO or small-business network.